Wendy Wu's South America Top 10! Part of the border between Argentina and Brazil, where the Rio Iguacu thunders off the edge of the Parana plateau, is Iguacu Falls. Stretching nearly 3 kilometres across, there are cascades as far as the eye can see. Either side of the river gives a different but equally magnificent perspective. From Argentina, you get a full overview of the waterfall system and get up close enough to feel the mist of the bigger, more powerful torrents. 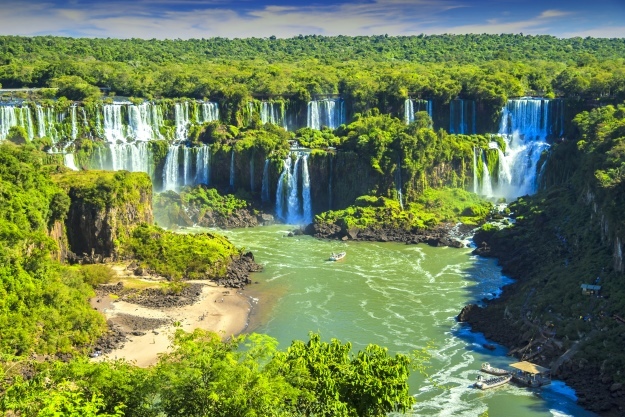 From the Brazilian side, it’s a more intimate experience, allowing you to walk through the lush jungle to see the many small cascades – you’ll see more rainbows than you’ve ever seen before! 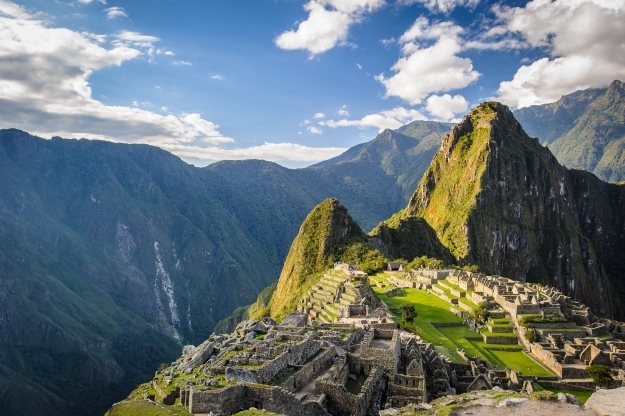 It was in 1911 that American explorer Hiram Bingham stumbled across Machu Picchu and bought it to the world’s attention. Since then, these enigmatic, mountain-topped ruins have captured the imagination of many a traveller who has ventured high into Peru to set eyes on it. It may be one of the most iconic sights in the world but not much is really known about this 15th century Incan citadel, but when you’re there gazing at it, you’ll find you don’t really care. Colombia’s fairy-tale city, Cartagena sits bathed in the sunshine beside the warm seas of the Caribbean. 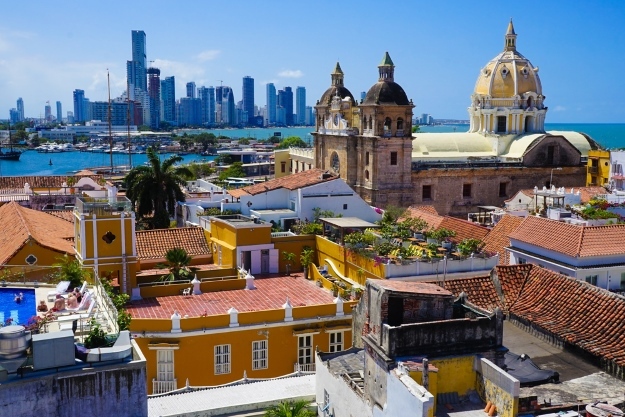 Founded as a Spanish port, their first colony on the continent, today Cartagena’s UNSECO-listed old town boasts some of South America’s most beautiful colonial architecture. The cobbled streets are lined with brightly coloured buildings with balconies exploding with bougainvillea which are perfect for strolling and exude the perfect atmosphere; vibrant yet laidback. It’s impossible to resist this city’s charms. 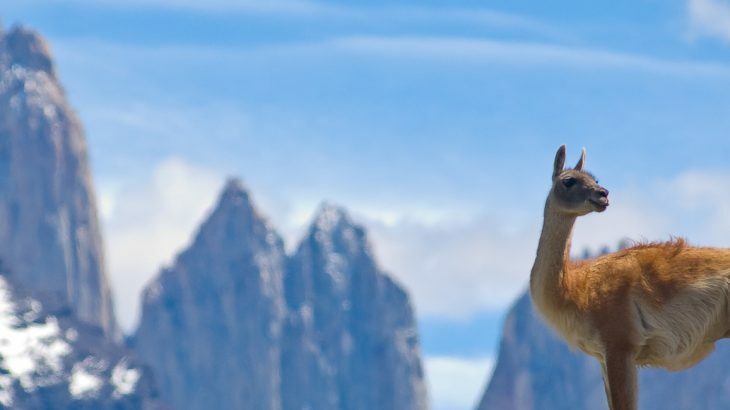 South America’s national park par excellence, the Torres Del Paine encompasses the most spectacular features of the rock and ice wilderness that is Patagonia. 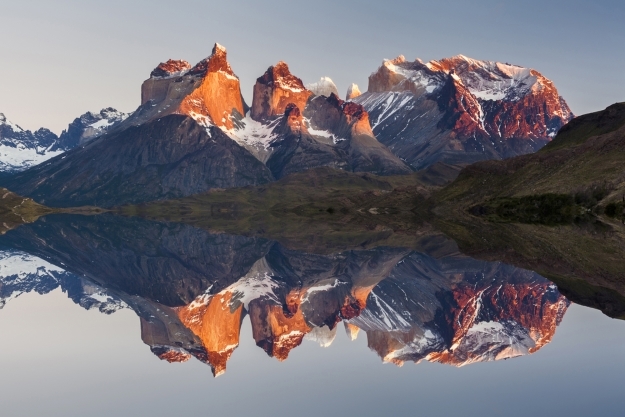 On the Chilean side of the region, the park is centred around those famous granite pillars, the eponymous torres, but also boasts glaciers, turquoise lakes, lush pastures and forests. All of this magnificent nature can be easily explored and we recommend that you don’t miss it! 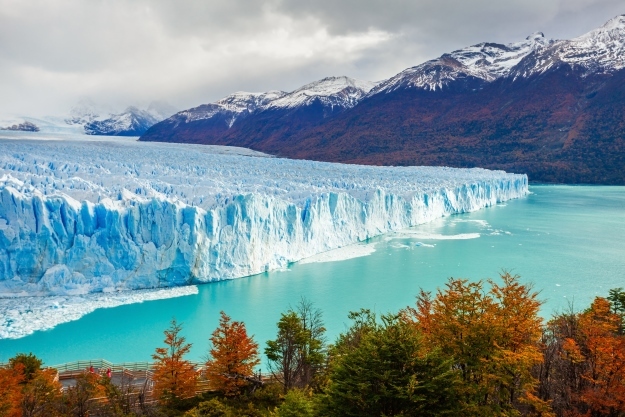 Part of Los Glaciares National Park, Perito Moreno is a 30-kilometre-long juggernaut of ice inching its way down its valley into the waters of Lago Argentino. Watching the glacier is a mesmerising experience. Endless creaks and rumbles echo around the valley, and you’ll find yourself holding your breath in anticipation of the thunderous cracks that signal a huge chunk of ice collapsing down into the water of the lake. You can get up close to the 78 metres wall that makes up the glacier’s terminus by boat, and even take a hike up on the ice. 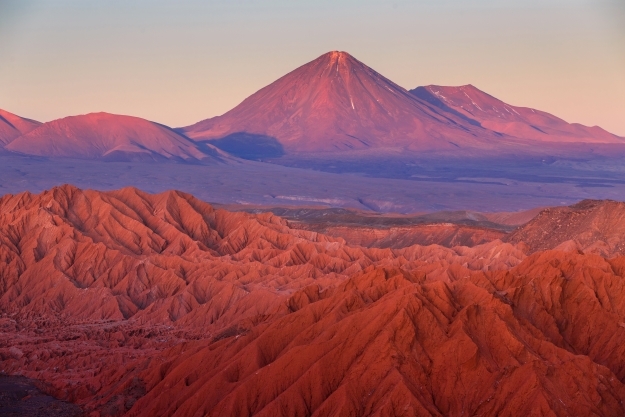 The driest place on earth, the Atacama Desert is an otherworldly and starkly beautiful place. There is so much to explore, from ancient cultures, moon-like landscapes and salt flats to geothermal wonders such as geysers and hot springs. For us, it’s at night that it really comes into its own, as the Atacama is one of the best places on the planet to stargaze. Thanks to the lack of cloud cover and little light pollution, you can see breathtaking amounts of stars, even galaxies, with the naked eye and it’s absolutely incredible. 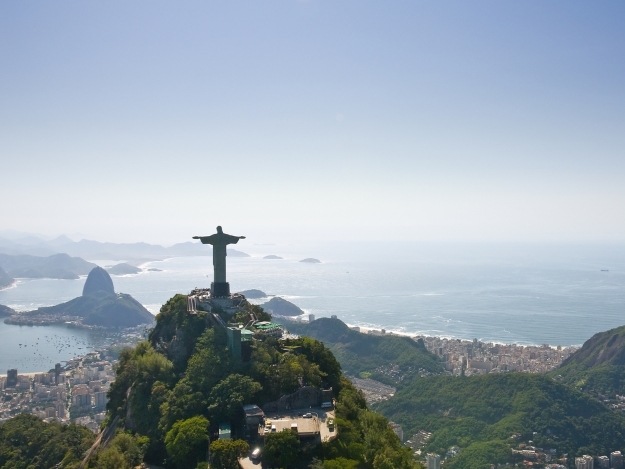 The iconic image of Brazil, Christ the Redeemer watches over the city of Rio from his perch atop Corcovado Mountain. This Art Deco statue was completed in 1931, and at 30 metres tall is visible across the city. You can ride up to the top of the Corcovado by tram, passing through the lush Tijuca Forest, and from Christ’s feet get a breathtaking view over Rio, its beaches and its bays. A lush, steamy, tree-filled expanse, the Amazon Rainforest is so huge it has its roots in nine countries. It is the largest and most biodiverse tropical rainforest in the world, and provides a home for over 16,000 species…absolutely insane numbers we think you’ll agree! Once you’re in the Amazon it’s all about adventure. 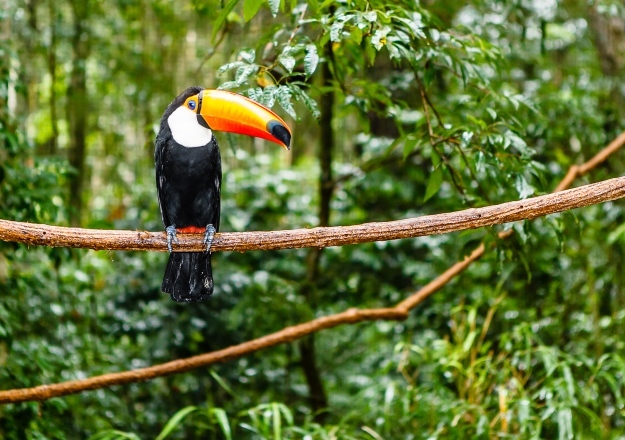 Cruising the waterways, hiking virgin forest, meeting the people who call it home, the whole time you’ll be on the lookout for wonderful wildlife like golden lion tamarins, toucans, sloths and anacondas. It was these barren yet dramatic islands that helped Charles Darwin formulate his theory of natural selection as he stopped off on the Beagle in 1835. Why? Because of their utterly unique ecosystem. Nowhere else in the world will you meet marine iguanas and flightless cormorants, and as you explore the islands, you’ll spot a whole load more species too. 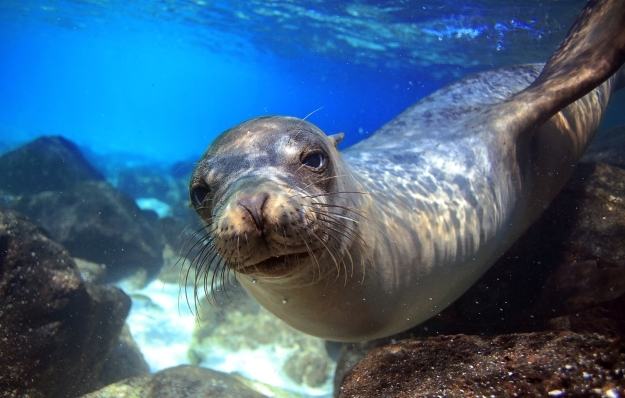 Isolated in the midst of the Pacific thousands of miles off of the coast of Ecuador, the Galapagos has managed to maintain a feeling of being the last frontier, so go and discover it for yourself. 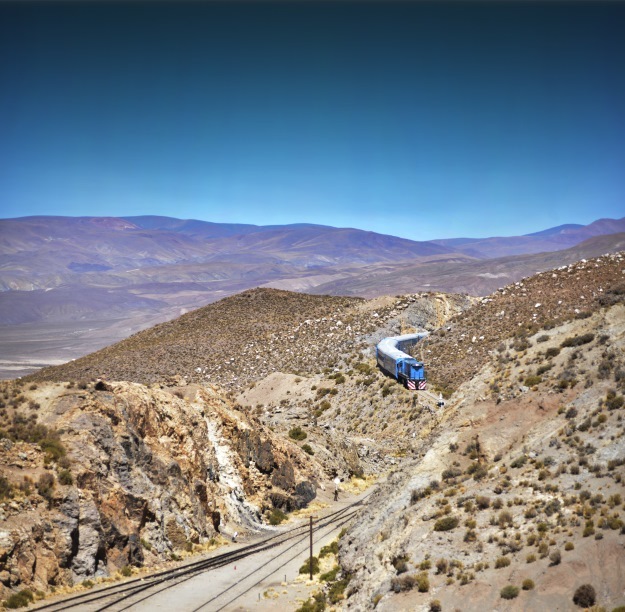 One of the world’s highest train journeys, the ‘Tren de las Nubes’ (Train to the Clouds for us non-hispanophones) journeys high into the Andes in the north of Argentina. Trundling over bridges and viaducts and through tunnels the train travels up to higher altitudes by spirals and zigzags to reach 4,220-metres altitude at La Polvorilla Viaduct. The journey is spectacular, the perfect showcase for some epic Andean landscapes – the Quebrada del Toro is particularly mesmerising with its ever-changing formations and multi-coloured rocks. South America adventure, nature, South America, top things to see. permalink.